Saed D. Karajah is the Founder and Managing Partner of Saed Karajah &amp; Partners LLP, a law firm specialized in corporate, regional and international work. 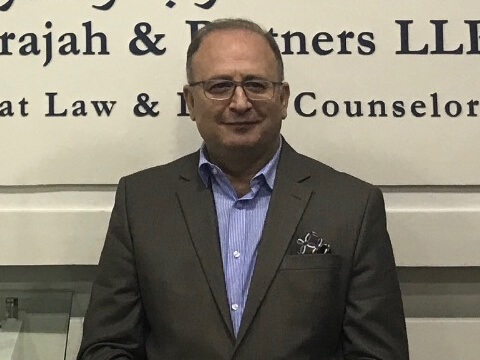 Saed Karajah is well known for his passion in civil society and human rights, for which he established the first specialized department for Non- for profits laws and associations within his firm. Royal Committee for Education Reform. Ministerial Committee for drafting the Associations’ Law. Ministerial Committee for drafting the Child Law of Jordan. Ministerial Committee for drafting the Planning Law of Jordan. Ministerial committees for amending and revising economic laws of Jordan. Finally, Mr. Karajah is an author of several publications in Law, Politics and Civil Society matters, he is also a Weekly columnist in Al Ghad newspaper.